An airfare surcharge will apply for travel on Fridays, Saturdays and Sundays. A high season surcharge applies for travel 28 March – 7 April 2019 and 1 June – 13 July 2019 from approx. R1 400 per person. All pricing is per person sharing unless otherwise stated. Blackout dates and seasonal surcharges may apply depending on the date of travel. Prices are subject to change without notice, due to matters outside of our control, such as adverse currency fluctuations, fuel surcharges, taxes and airfare increases. Prices are provided as a guideline, please contact us before choosing your holiday package and we will happily provide you with a written quotation for your specific travel requirements. Leisure Island Holidays reserves the right to correct any pricing errors or omissions (E&OE). Terms and conditions apply. 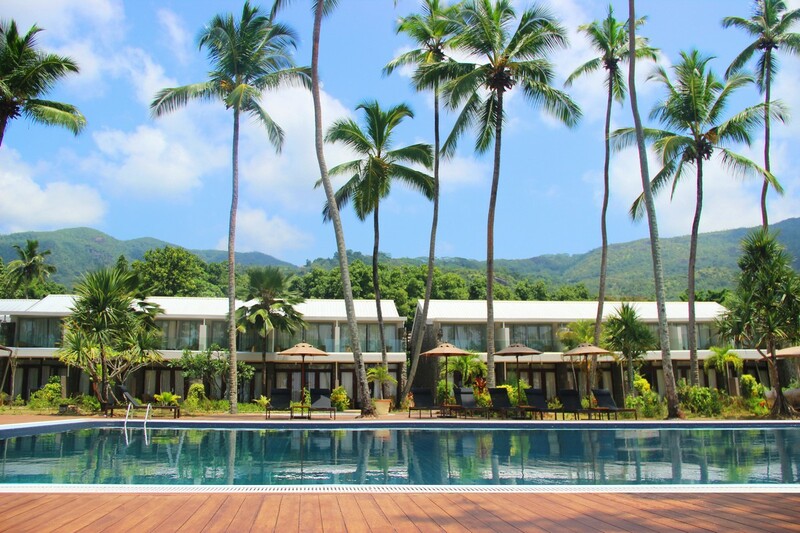 See the link at the bottom of our site for further T & C.
Avani Seychelles Barbarons is ideally situated on the west coast of Mahé amidst tropical gardens, indigo lagoons and pure white sands. 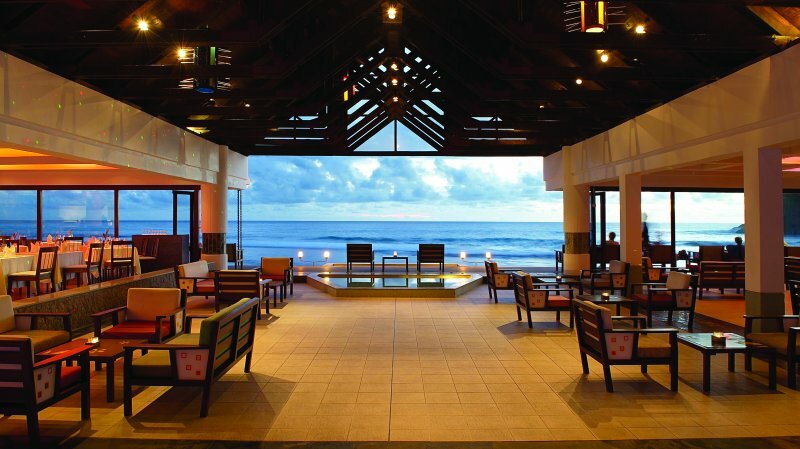 This is the first AVANI branded resort in the Indian Ocean. The location is fabulous – right on Barbarons Beach on Mahe’s west coast. Accommodation, leisure activities and dining options have all been designed with every age and travel style in mind. Five room types include connecting rooms so it’s great for families, there are two restaurants plus a Private Dining concept for that someone or something special. The palm fringed beach is fabulous for topping up a tan, then cool off in the ocean, or the resort’s 25 metre pool. Breathe, stretch, relax and recharge at a yoga asana – and tomorrow go out and explore Seychelles. 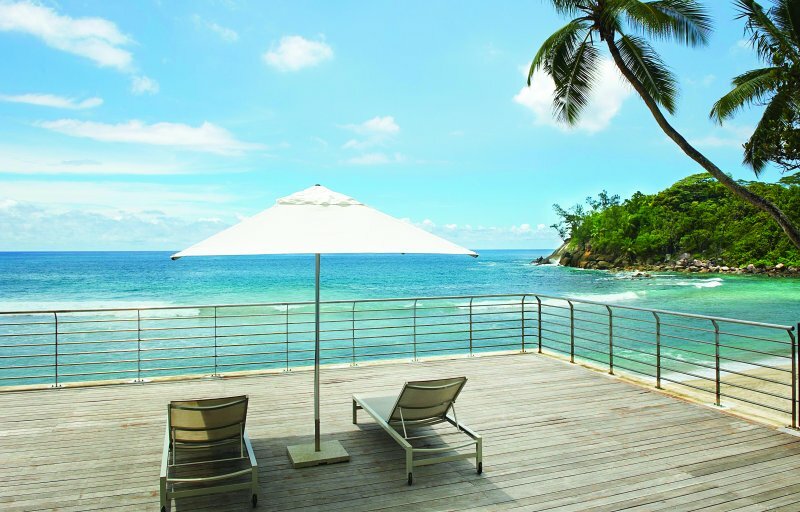 This is what a holiday at AVANI Seychelles is all about. Even adults need a time out now and then – pamper ‘me time’ or ‘we time’ is waiting at the AVANI Spa – you will find that quiet time never felt so good. The 124 rooms and suites feature glass doors that allow in natural light and open onto a terrace or balcony with lush garden or ocean views. Interconnecting rooms are available for families and baby cots are available on request in all room categories. Rooms are around 36 m2 and have showers and bathtubs. Wind down with a room near the Spa and beach, so it’s only a short stroll to sunbathe, swim and get pampered. Rise and shine to a garden view. Take it easy first thing with a tea or coffee on the balcony. Freshen up with a quick blast in the shower or take your time with a soak in the tub. Help yourself to the mini bar and relax as you email home, or just snuggle up and watch a movie. These rooms offer garden views and are located on the ground or first floors and feature a private balcony or terrace with a table and chairs. Take a seat on your balcony or terrace overlooking our beautiful gardens. 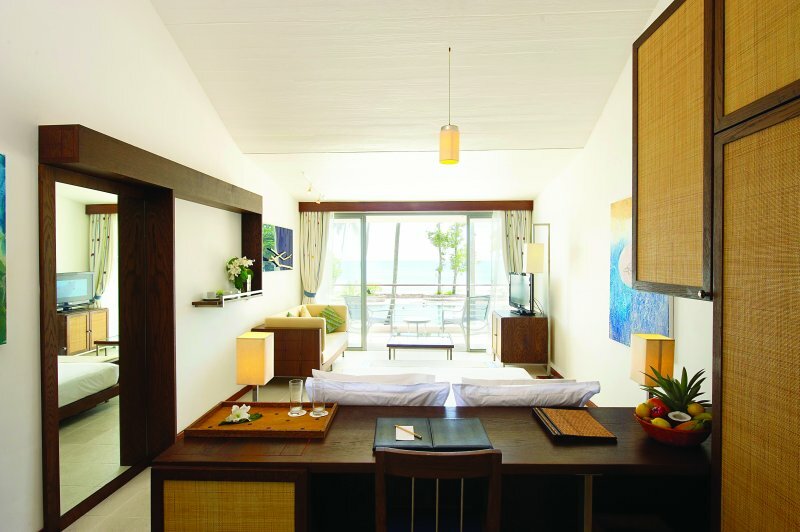 Comfy and stylish for a truly relaxing stay, these rooms are a great choice if you love tropical nature. Sink into your choice of beds. Grab a quick shower or lazy bath if you fancy. Dip into mini bar treats. Between beach time and island trips, catch up on sleep or kick back with a movie. These rooms with private balcony or terrace with table and chairs offer pool and garden or garden views and are located on the ground floor or first floor. Treat yourself to a stylish room by the sea. Watch the waves roll in with a refreshing drink in hand. Laze in the stylish surroundings whilst watching TV. Surf the net, snooze in comfort. Take a long, hot soak before heading out for dinner. These rooms offer ocean and garden or ocean and pool views and are located on the ground or first floors and feature a private balcony or terrace with a table and chairs. Enjoy easy access to the palm fringed shore. Feel refreshed by the breeze while you chill with a book or sip drinks on your balcony or terrace. Take it easy in our rooms perfectly designed for a comfy stay. Work, play and chase your stress away. These rooms with private balcony or terrace with table and chairs offer beach and ocean views and are located on the ground floor or first floor. Enjoy more space to spread out in an Ocean View suite. Relish upgraded amenities to make your stay unforgettable. Hang out in the lounge and plan a great day over a hot cuppa. Ease into evenings on the ocean facing balcony, sipping drinks as the sun sets before heading out to dinner. Indulge in a night in with a relaxing bath and 24 Hour room service to dine anytime. These Suites are located on the first floor and offer ocean views and feature a separate lounge area and a private balcony with table and chairs. Variety is the spice of life. 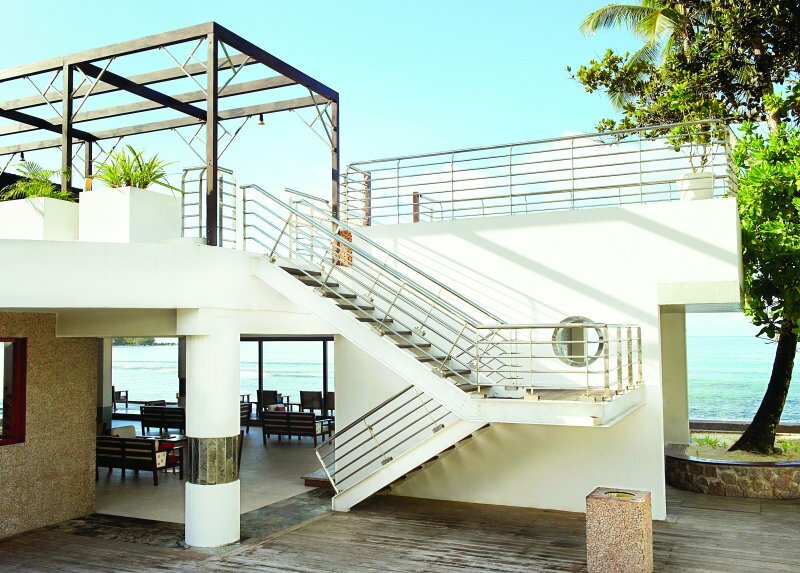 If you’re looking for the finest Seychelles restaurant then search no more. Tease your taste buds in six dining options to suit your mood at AVANI Seychelles Barbarons Resort. Munch on easy bites poolside and quench your thirst with sunset cocktails. Drift into evening with Seychelles flavours and seafood delights. Sip nightcaps and chill with shisha taking in the spectacular ocean views. Options are available to upgrade to a Half Board or Full Board package. In addition a drinks package supplement can also be pre-purchased for a beer, a glass of house wine and 1l of water during lunch and dinner. Guests who have selected Half Board or Full Board options are entitled to eat in Elements, buffet style, or from a set menu at Tamarind. Home style comforts with an exciting twist. Dine in the herb garden or on the beachside deck. Brighten your mornings up with creole specialities. Lunch on line-caught fish, char-grilled steak or shrimp tortellini. Creole nights mix culture and cuisine with market stalls, musicians, dancers and artists. Sit on the sand or deck and dine with ocean views. Feast on fresh Indian Ocean seafood and tamarind grown on the island. Try authentic dishes such as seared shrimp with tamarind followed by Takamaka flamed bananas in a tamarind glaze. Pull up a chair and sip on a juice in our lovely lounge by the sea. Chow down on a burger or a bowl of warm creole spiced cashews. Enjoy casual bites throughout the day and ambient beats after dark. Grab a spot here at sunset for a breathtaking palette of colours. Wander in after dinner for a shisha or smoking cocktail. Choose to chill here any time of day and soak up the relaxed vibes over the sand. Refuel with snacks and drinks or make any time of day cocktail time. Cool down with a chilled treat – one of our infused sorbets or sorbet ice teas. Fulfil your cravings with a classic club sandwich or a smoked salmon and sour cream flat bread. Play away the day and finish with a casual bite. Enjoy a great choice without ever leaving your room, 24 hours a day. Sip, snack, wine or dine at AVANI whenever you like. Call us for a G&T or glass of wine. Find all your favourites in classic comforts like eggs Benedict and the classic club, plus a selection of specialities from Tamarind and Elements. Open Wednesday to Saturday from 19h30 onwards. Entrance is free for AVANI guests. The lounge features in-house DJ’s, cocktails, cigars, shisha, themed nights and more. The perfect spot to enjoy the finest of bubbly and canapes with spectacular views of the beach and sunset from the rooftop terrace. Let little ones loose in the Kids Club! Among many Seychelles family resorts, AVANI Seychelles Barbarons, let kiddies choose from different activities and staff will ensure they are well taken care of and having lots of fun. AVANIKIDS welcomes children from 4 – 12 years old, free of charge. For younger children, parents are invited to accompany them, although babysitting is also not a problem, at an extra charge. Child favourites include face painting, beach based activities and “design and fly”, our Kite Making experience for the little ones… just to name a few. At AVANI Seychelles, there’s lots for little ones to do. Let the stress seep out of your muscles at our Spa resort in Seychelles. Leave life’s complications behind. Step into a secluded forest haven for simple therapies to soothe your soul. Choose “We” or “Me” time with single and couple treatment rooms, with refreshing drinks and a private sundeck at the AVANISPA. Take a dip in the plunge pool. Chill out in the relaxation area or workout in the gym next door. Wi-Fi available through the resort (high speed is chargeable per day).